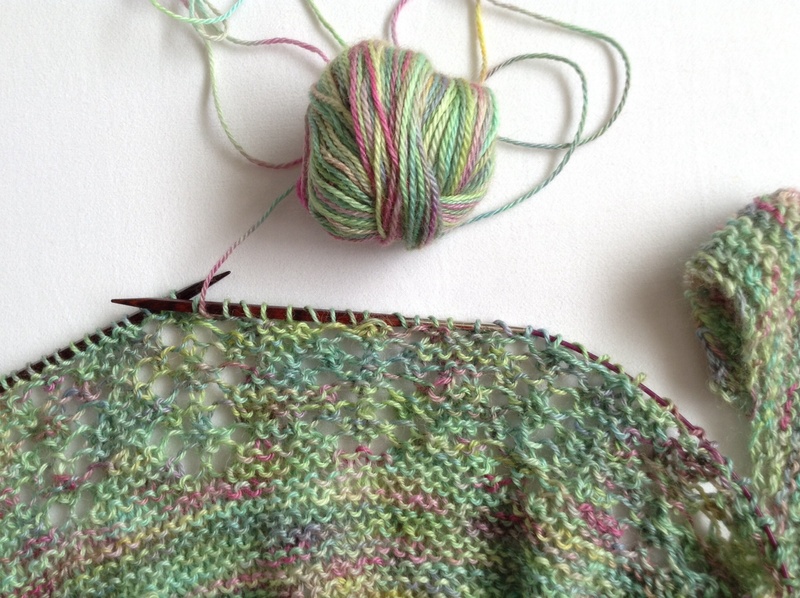 Miss the final 2 rows of the lace pattern and cast off early? Does your pace change? Do you find yourself speeding up? Slowing down? Keeping steady? I know it doesn’t make sense, but I seem to knit faster … perhaps to try to get to the end of the row before the wool runs out? Who knows! How about you? Do you notice any change of pace? This entry was posted in Uncategorized and tagged Finishing, knitting. Bookmark the permalink. I think I just tend to close my eyes and pray. Probably increased tension slightly too… in the hope that will eeek a little extra out of it!